Do you find that there is a culture of reading where you live? If not, tell us a bit how you came to be one! I see reading promoted in bookstores. There is always a special section for local authors. But I rarely see people reading in public (though it’s hard to tell if someone is listening to an audiobook) and I don’t know many people who read as a hobby. (Even though I studied as a Secondary *English* teacher in university!) I started reading in elementary school, when weekly trips to the school library where mandatory, and then I just never stopped! What kinds of books do you enjoy reading? I absolutely adore YA (particularly fantasy, historical fiction, and realistic fiction). I also read a lot of MG and the occasional adult novel (mostly mystery/thrillers and chicklit). Have you always been a reader? It feels like it! There have definitely been times when school got overwhelming and I dipped away to focus on homework, or I got really social and my books sat forgotten. But reading is the one hobby (the one PASSION) that has lived with me through thick and thin. Do you also read books published in your native language/published locally to you? If so, tell us a bit about what kinds of books are published in your country! French is the official language in Quebec. I read maybe one or two French books a year, to keep myself fluent. Usually I pick up translations of YA books I’ve already read in English. I’m not the biggest fan of reading in French, because I lose a lot of the book’s meaning and I read so much slower. Back in high school, I did read several locally published French YA books recommended by my teachers and a lot focused on low income families and the indigenous population. They helped me learn a lot about the social issues in my region. Are there libraries where you live? If so, what kinds of books can you find there? Are you able to get the books that you want? There are local libraries in each city, which you can access if you live in that area (with your citizen’s card). Upside: books are available! Downside: you are limited to what your own library has. My own library, like most, is majority French books with a much smaller English section. I can’t find much in terms of YA at my library (I think there are about 100 books there? and most are before 2015). My library sadly doesn’t have any inter-library loan system, and I can’t download e-books from other libraries. How prevalent are English published books where you live in bookstores? (For example, books printed by HarperCollins.) I can’t find any indie bookstores with English YA (but there are indie bookstores with English classics and adult novels). I really, really wish there were more, because 1) I want to support indie stores and 2) I hear so many great stories about indie bookstore vibes. But I can easily find what I want at Indigo, the equivalent of Barnes and Noble here in Canada. Pretty much every book I read is from Indigo, since it’s the most readily available source of English books. Other chain bookstores are French with small English sections. Do you use NetGalley or Edelweiss to request electronic galleys for review? If so, what kind of success rate would you estimate for you personally? I use NetGalley and I’m still getting used to Edelweiss! I’ve requested five books from Edelweiss and gotten accepted for three. On NetGalley, I have a 50/50 chance of getting accepted (I’ve been rejected for 21 and approved for 21). I’ve gotten a rejection before because I’m in Canada, which surprised me because I didn’t realize that was a thing. It’s interesting at times to compare my acceptances and rejections with my American co-blogger, Mandy. There are other factors at play (she has blogged longer, and done more reviews) but I wonder sometimes how much my location plays into the decision-making process. Do you experience hurdles or barriers to access for the kinds of books that you read? Please explain if so. Definitely. I don’t have a big budget for books. I wish I could borrow more from the library, but like I explained a bit before, my library carries very little English YA or MG. I’m grateful that Indigo exists because every single book I want to read is right there, but those are full priced copies that I really can’t afford. I don’t have the option of other bookstores to price compare (unless I online shop, then I have to pay shipping) or libraries to avoid a cost completely. Do you have any other experiences as a reader around the world that you would like to share? Giveaways. I wish wish wish I could enter giveaways. But do you know who is excluded from literally every single giveaway? Quebec. 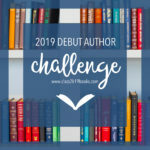 Goodreads giveaways, Instagram giveaways, Twitter giveaways. It doesn’t matter. Quebec likes to be special with its language laws and contest regulations, so it’s way too complicated to include us in anything. I can’t count how many times my heart has broken seeing a treasured book in a giveaway that I wasn’t allowed to enter. Even Indigo, which is *in Quebec* excludes Quebec from giveaways. I can’t even win books I like to read. I really hope this changes! Oh my, this is really eye-opening. It’s something I’ve wondered about (my French-speaking dh has occasionally, though not entirely seriously, floated the idea of us moving to Montreal, especially since there’s a team of scientists there studying something similar to what he’s working on). It sounds like finding the books you want is definitely a challenge. I shouldn’t be as surprised as I am about the no-interlibrary loan thing (when I lived in Connecticut years and years ago, our library didn’t have anything like that either and it was frustrating); you’d think in 2019, libraries would be working together more! I applaud your using your friends’ cards, though; I’d absolutely do the same!!! Thank you for sharing, Shania, and thanks for another fascinating post in this series, Kaleena! Thanks so much for your comment, Stephanie! I definitely agree with you that libraries should work together more, I wish inter-library loans were more universal in libraries. I’m the province just bellow you, new-brunswick 😁 as our province is « legally » bilingual, and myself preffering to read in french, my issues is different in the opposite way :p English sections tends to be bigger than french (though I was quite impressed with our french section the one time I went to my local library)- I also saw various « café & Books » things across town, and yet again id assume thoses are primarely english.. I was actually wondering about you when I read Shania’s interview, Kristina! It is really interesting to me to learn about how different things are within the same country where it comes to access; I knew Montreal spoke French but I didn’t realize it wasn’t a legally bilingual area because most of Canada speaks English. I’d actually love that, I will message you on Discord! oh wow I miss the weekly visits to the school library in elementary school, that’s something we had too! I remember one time when I started a book and just *had* to check it out, and the awesome librarian let me take it home even though I’d already maxed out my library loans … which was something ridiculously low, like 3 or 5 books at a time – but I was in the library several times a week so she knew and trusted me, haha. I also didn’t know about Quebec’s language laws, I have a lot of assumptions about Canada that need to be remedied. I’m Canadian too (Alberta) and I never really thought about how hard it is to get books in Quebec considering the different languages and laws that come with preserving French. I feel your difficulties with Netgalley and physical ARCs though—so much seems to be unavailable here in Canada. That really stinks about the language law, I didn’t realize that was in place in Quebec, and just another thing that keeps people from getting the good stuff like giveaways. I sympathize, but I do think it’s great you’ve always been a reader and are so active in your reading ❤ I won't lie, I can see why they'd want to preserve French but it doesn't make it fair for you and others who want to read in English. Also please tell me your secret with Edelweiss lol because it hates me, kudos to you though! I hope you get more books from it and NetGalley, they are great ways for international book bloggers to get access to eARCs! Such a great interview, I’ve always wanted to go to Canada! Especially Quebec since I speak French, so I hope it gets more and more book opportunities in the future. Look, I’d go for a holiday for sure anyway! Hahaha, hell yeah! Same here xD But hey, it looks like other Canadian cities fare better in this aspect. That #15 blows me away!! What’s up with that Quebec? I am just baffled by that one. Thank you, as always, for sharing these Around the World folks and their access to books and to reading and what they struggle with/love about their country and reading. IT is amazing to read. Thanks as always for reading!!! Wow. Every new post sheds some light on the reading situation of different locales. Who would’ve thought that CANADA would be so limited??! Like you said, it’s RIGHT NEXT TO USA! Now I’m feeling more grateful for what we have in China 😳 Something’s got to be done about this. I know, this interview definitely challenged a lot of my own preconceived notions! I knew parts of Canada also spoke French, but I didn’t realize it affected access like this. It is just interesting to me that one part of Canada can have a completely different official language; it’s like Quebec is its own country.